Emory University is located in Atlanta, Georgia's historic and scenic Druid Hills neighborhood. This unique spot offers your guests a small-town feel with large-city amenities. 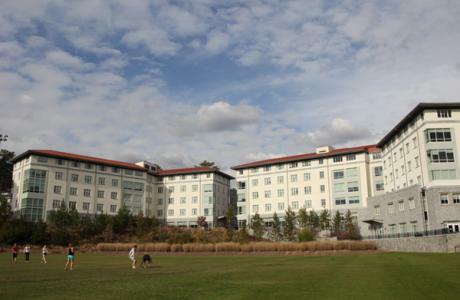 Atlanta's top cultural, entertainment, and recreational venues are conveniently located just minutes away from campus. The Emory University Conference Center is equipped for many types of events whether you are planning a small meeting or a large conference or retreat. The university is proud of their commitment to sustainable building and green space with nearly 2 million square feet of LEED-certified space. This includes four residence halls and a “no net loss of forest canopy” policy that ensures any trees removed for construction are replaced elsewhere on campus. 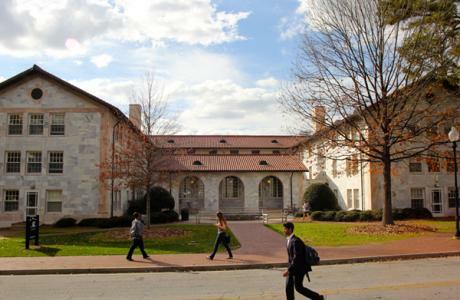 View the video below to experience why Emory University is the perfect location for your next Atlanta area conference, meeting, or special event. 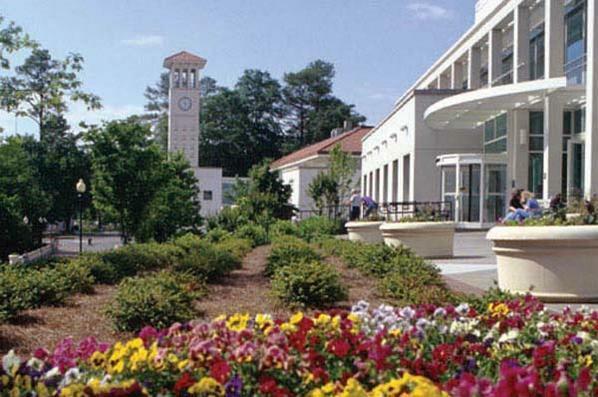 Emory University in Atlanta, Georgia hosts conferences from late May to early August. Emory University has wireless internet in all meeting and guest rooms; multimedia is available in nearly all meeting spaces. 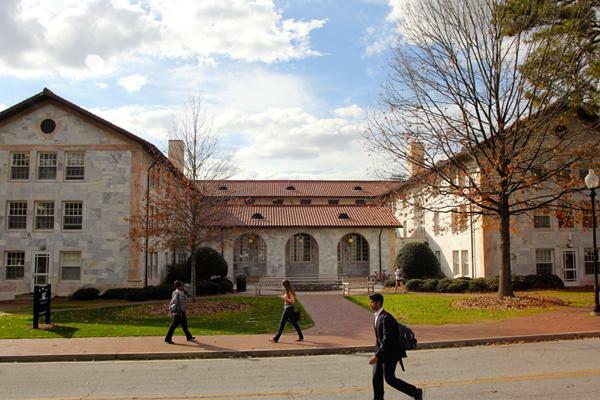 Emory University offers cafeteria and a-la-carte style dining as well as an on-campus full service caterer. Groups must have an educational function and be residential. Building Lounges	 Building lounges are typically reserved for conferences that occupy the residence hall in which the lounge is located. Spaces vary by hall, but all have flexible seating and controlled access. Cox Hall Ballroom	 Cox Hall Ballroom is a full-service, 7,200 (60’x120’) square foot ballroom. The ballroom can be partitioned into four separate spaces to fit the needs of your event. It can be set to your specifications, including the addition of a small platform. Harland Cinema	 This remodeled cinema is a digital movie theater in the Alumni Memorial University Center that is perfect for showing films or having a special meeting. The cinema contains a stage area with limited lighting, ideal for talent shows or other performance events. Rental fee does not include fees for projector use, or overtime for events not held during normal hours. All films shown must have proof of rights. Glen Memorial	 Listed on the National Register of Historical Buildings, Glenn Memorial Auditorium was built in the 1920’s and is the largest building on campus. Guests hosted at Glenn have included the Dalai Lama, Jimmy Carter, Ben Stein, Ben Folds, Julian Bond, and governor Sonny Perdue to name a few. Built with 40’ vaulted ceilings and fixed seating, Glenn is perfect for speakers, panel presentations, and performances for larger groups. Classroom Spaces	 Conference Services is able to access and reserve Emory University's academic classrooms for conference use. Classrooms range in capacity from 10 to 280 persons, are wheelchair accessible, and all equipped with dry-erase boards. Seating styles vary from seminar, moveable desks, to auditorium. Most classrooms are equipped with audio-visual equipment; please let your Conference Assistant know if you have A/V needs so that we may accommodate accordingly. From basic morning breakfast breaks to outdoor events of unlimited numbers, Emory Catering provides a full range of quality catering services backed by a diverse, service oriented staff. Our fresh, contemporary menus are only a starting point. For every event, we will create a customized menu, providing your guests with an exceptional dining experience. Emory Dining provides quality food using authentic, seasonal dining options prepared with balance and well-being in mind. In addition, we offer vegetarian, made without gluten containing ingredients, kosher, and halal options to meet all dining needs. All menus are written based on seasonality and availability of regional fresh products. 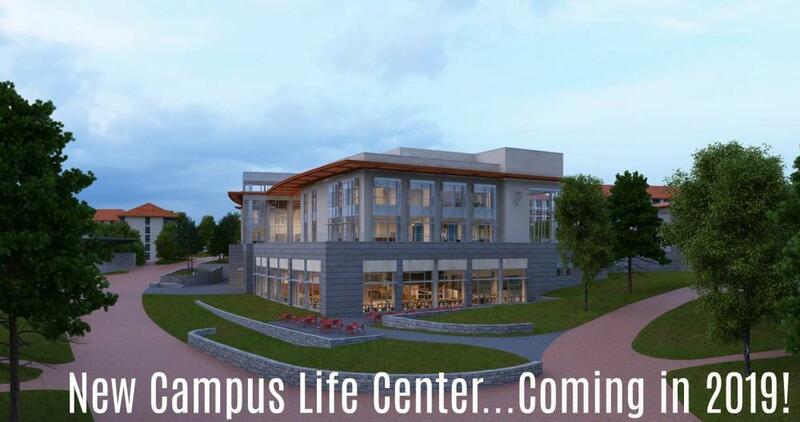 Affectionally named by students, the DUC-ling is Emory’s interim dining facility. 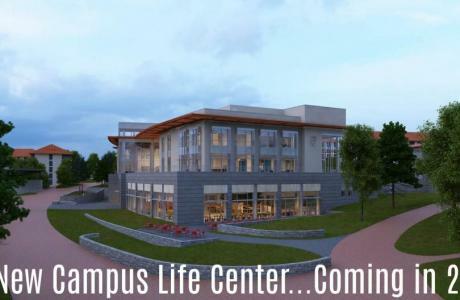 The 10,000-square-foot structure will serve meals for students and other diners during the construction of a new Campus Life Center (CLC) on the site of the previous student center. The DUC-ling opened summer 2017. Located on Clairmont campus, SAAC Cafe is the perfect spot for a meal or a quick snack! Take a break from the books or the pool with a fresh made burger, chop salad or flatbread pizza. We also have a variety of grab and go eXpress options to take back to your room! "Thanks for another great summer! Last year I was on the Clairmont campus, this year Turman Hall. 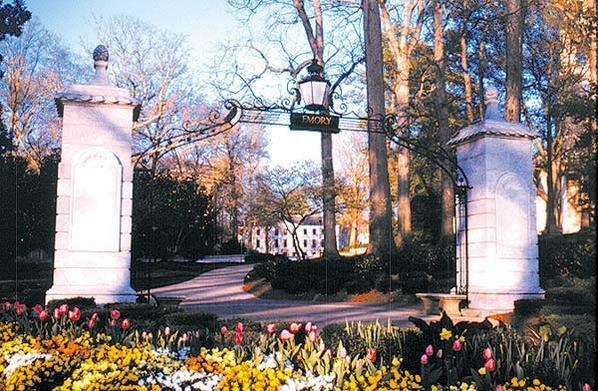 I'd highly recommend Emory to anyone considering planning/attending an event here." 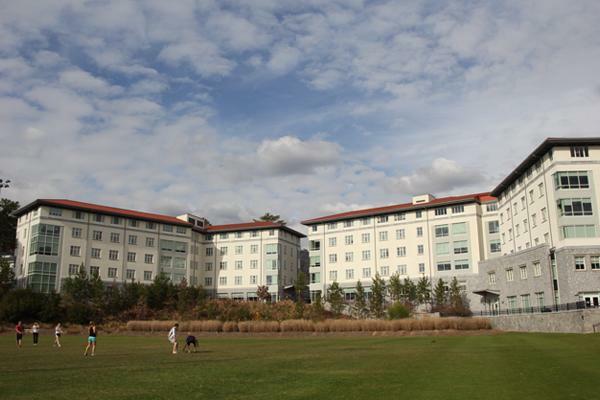 "Emory just gets better and better whenever we come here." "Staff was very pleasant and attentive!"